Fortnite Season 6 Week 5 has begun on October 25, 2018. With the new week comes exciting new challenges that will allow players to unlock battle pass stars that can be used to purchase items from the item shop. Like previous weeks, this weeks challenges contain 3 free challenges, and 4 paid challenges. 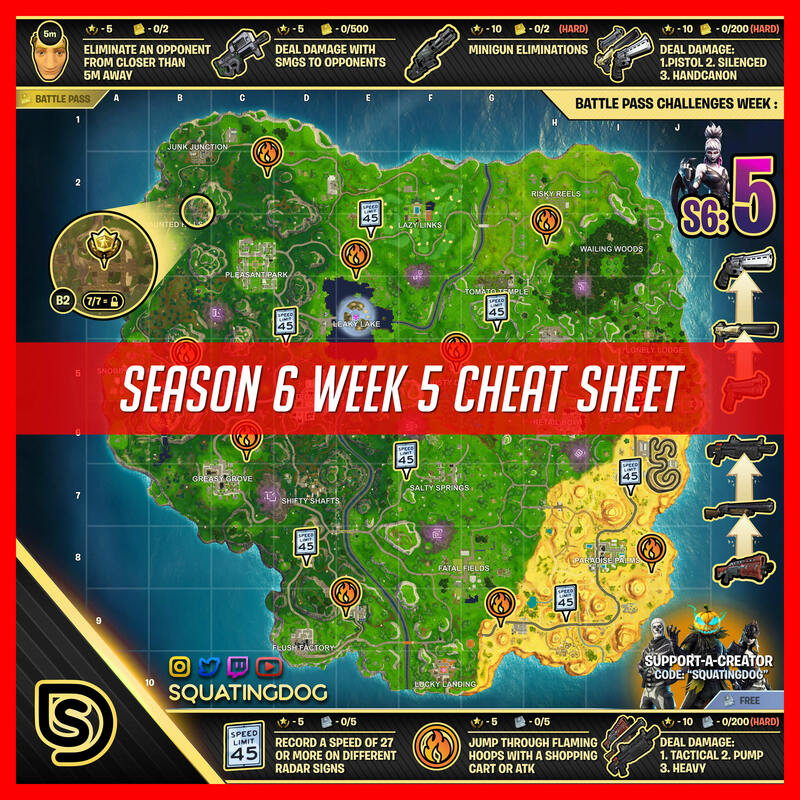 Completing all of the season 6 week 5 challenges will earn you an impressive 50 battle pass stars. 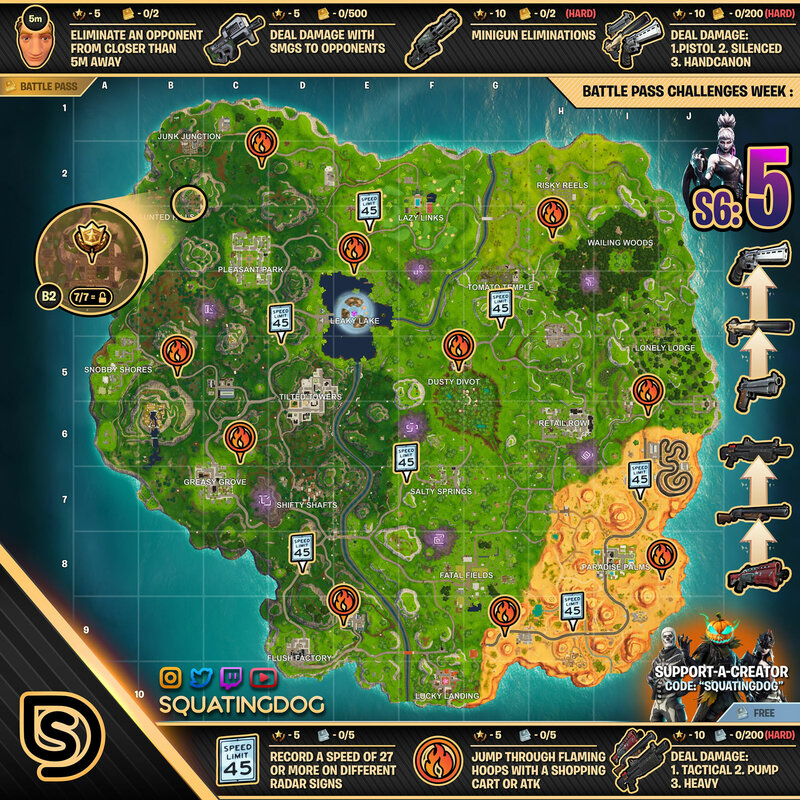 Fortnite Radar Detector Map – Use this map to locate all of the radar detectors to complete the challenge. Fortnite Flaming Hoop Map – Use this map to locate all of the flaming hoops to complete the challenge.